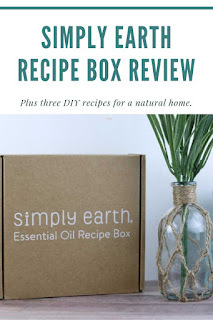 The Simply Earth recipe box is a monthly box with essential oils, containers, and other ingredients you need to create several DIY natural home recipes. 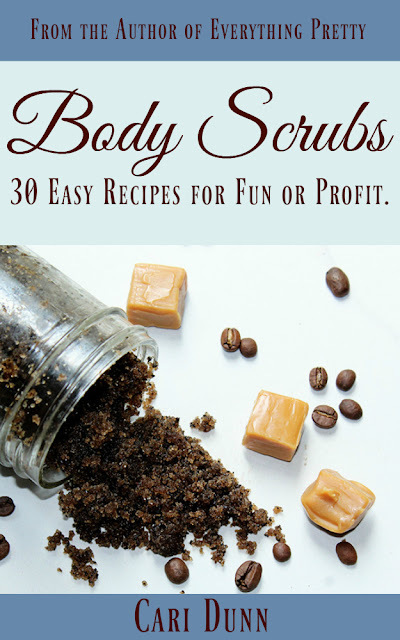 When I started making DIY bath and body and beauty recipes, I didn't have many ingredients. I had some common oils that I found at the grocery store, some shea butter, and beeswax and that was pretty much it. Today, I have an entire double closet devoted to supplies. Making DIY beauty recipes is my job, so it makes sense for me to have a lot of supplies. But it probably doesn't make a lot of sense for you, my reader, to have a lot of supplies on hand. Not only does it take up a lot of space, but it can get expensive buying everything. Oils and butters do have a shelf life, and I personally want to cry when I have to toss an oil because I couldn't use it up before it went rancid. Simply Earth has a solution. 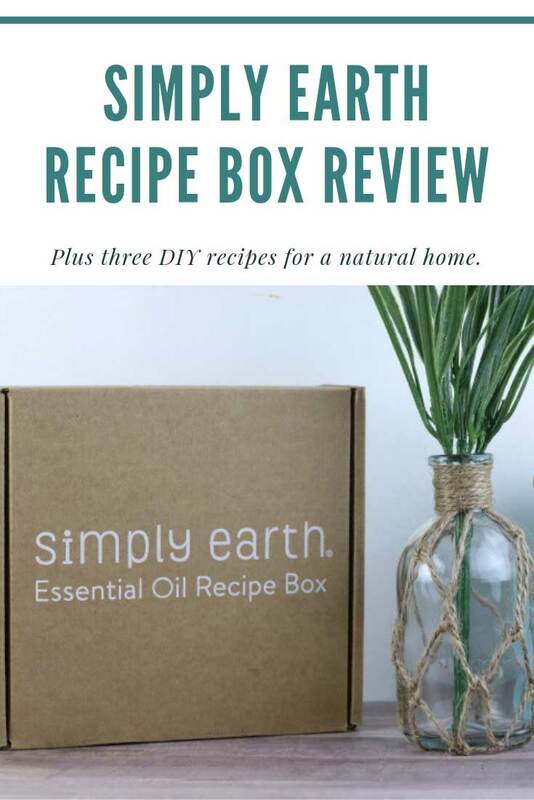 When you subscribe to their recipe box, you'll get a box each month with four essential oils, natural ingredients, and extras to make several DIY natural recipes. Simply Earth sent me the April box and their bonus box so I could share it with all of you. I have to admit that I was tracking it daily. I love getting goodies in the mail, especially when I know that I can make things with said goodies. Simply Earth is a fairly new company, but they have a lot to offer. 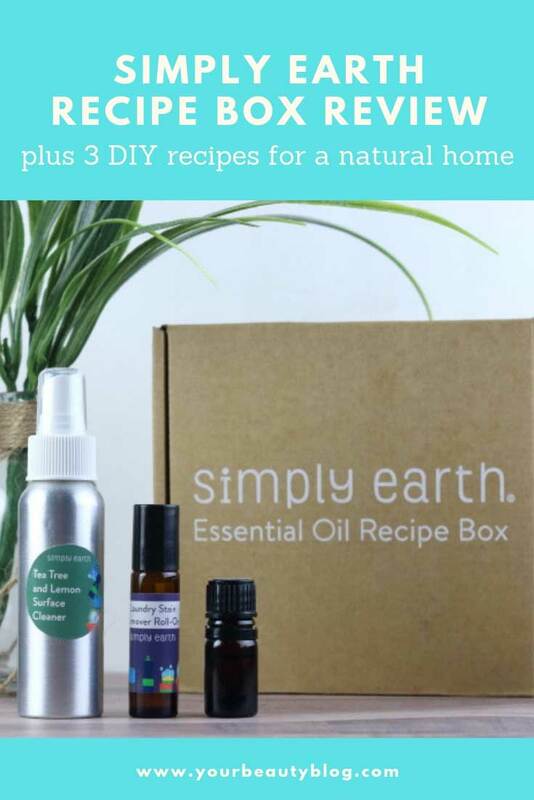 Besides the monthly recipe box, they also offer essential oils, essential oil jewelry, and diffusers. They donate 13 percent of their profits to help fight human trafficking, so you can feel good about your purchase knowing that it's helping others. They wanted an affordable line of essential oils and accessories so people could create products for their natural home. I love the concept of their Recipe Box. 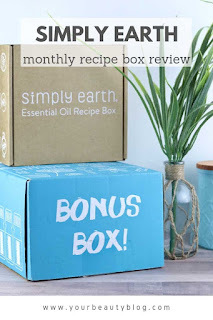 When you subscribe, you get essential oils, ingredients, containers, and recipes to make several natural products each month. 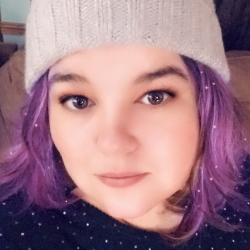 When you subscribe with my link, you'll get a $20 gift card that you can use on a future purchase and a bonus box. 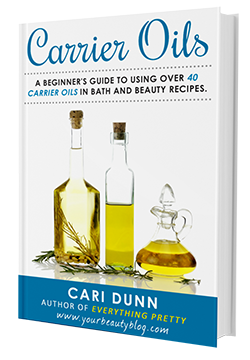 You can use the gift card to pick up oils, blends, carrier oils, containers, or even a diffuser for your home. 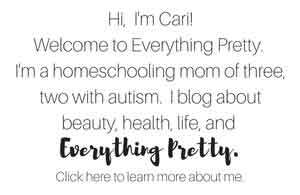 Click here to order and use code EVERYTHINGPRETTYFREE to get your $20 gift card and bonus box! You'll use these in recipes for future boxes. You will have to add some ingredients to your boxes, but they will be things you can find at a big box store. 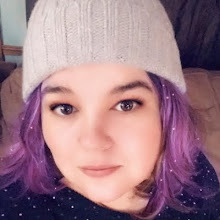 For the April box, I have to provide a bar of castile soap, borax, Epsom salts, vinegar, washing soda, and rubbing alcohol. Most of the ingredients are used in more than one recipe though. You also get a sheet of colorful stickers to label your DIY recipes and put on the top of your essential oil bottles. I store my bottles in my DIY essential oil storage box, so these stickers are convenient so I know what's where in the box. By the way, I heard that May's box is all for pets. Nacho is going to be so excited! Simply add to your diffuser and enjoy! If you want a larger batch, use one of the mini bottles from your bonus box and mix 50 drops lemon, 25 drops nutmeg, and 25 drops tea tree. I'm not a big fan of diffusing tea tree oil, but your home will thank you after you diffuse it. It makes your home smell so fresh long after you diffuse it because it helps get rid of odors instead of covering them up. And if someone is sick? Diffuse this! Tea tree oil is a natural antiseptic, and it can kill germs in the air. Add the essential oils to the roller bottle. 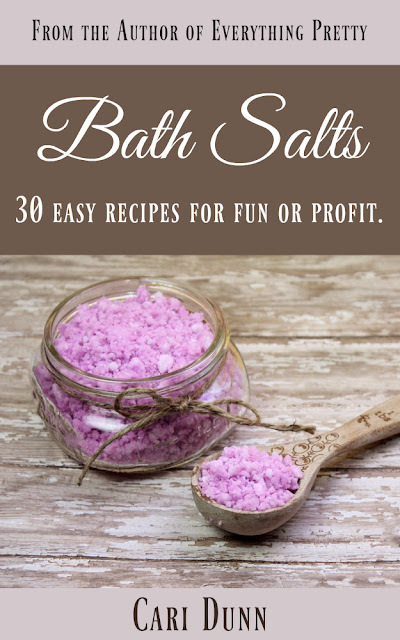 Fill with castile soap. Shake before using. Roll onto stains before you wash them. You guys, I don't even want to admit how much I need this. I could blame needing this on the kids, but it's all me. Mix the hot distilled water and borax to dissolve. Add the rest of the ingredients and stir to mix. Pour into the spray bottle. Shake well before each use. Spray on counters and nonporous surfaces and wipe clean. I haven't made the other three recipes yet just because I didn't need them yet, but I will as soon as I need them. I already make my own laundry detergent, but I want to try their BO Be Gone blend in my laundry soap. 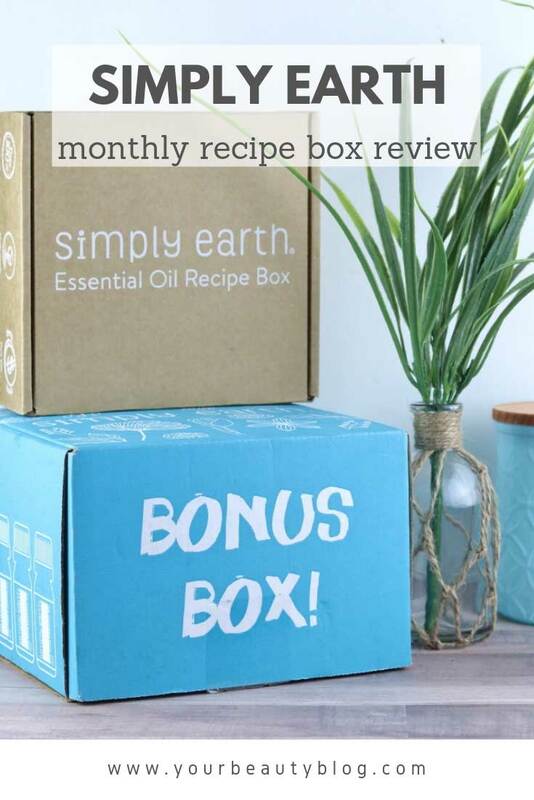 Ready to order your Simply Earth Recipe Box and get a fun surprise each month? They also have essential oil jewelry, diffusers, essential oils and more.